This event is a great platform which encourages innovation, uniqueness and experimentation and that is the only way to let the genius of the students bloom. 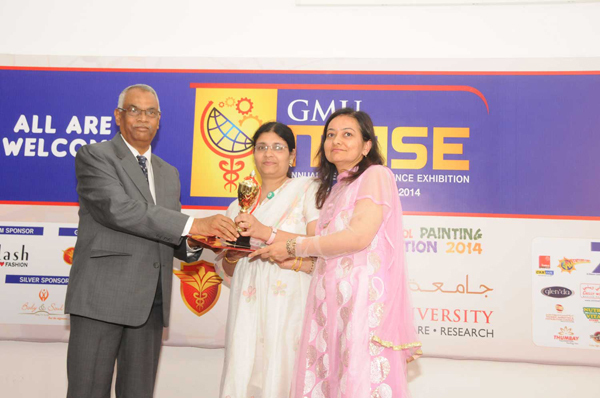 The ‘Annual and Medical Science Exhibition GMU MASE 2014’ was held on 21st and 22nd of May 2014 at its campus in Ajman. 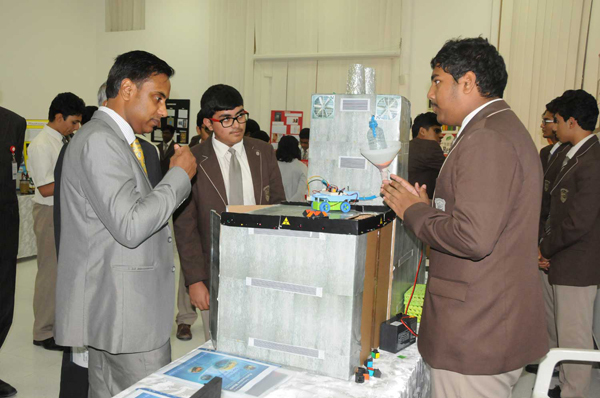 The event offered students a chance to display their talent in innovations in science and medicine. Consul General of India HE Mr. Anurag Bhushan inaugurated the exhibition in the presence of the university President Mr. Thumbay Moideen and other dignitaries. 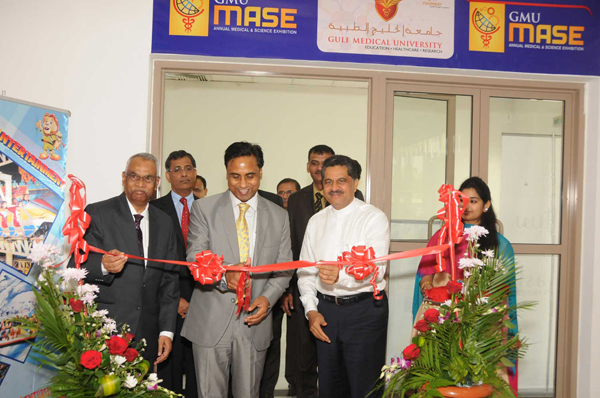 GMU MASE is held every year under the guidance of the Founder President of the university and also under the supervision of the academic leadership of all the constituent colleges of Gulf Medical University. HE Anurag Bhushan said that ‘we see only 10 percent of their talent which is on display, while 90 percent of hard work goes in back ground exercise in making such wonderful working models, and the thought that goes into making posters, which is commendable’. This event is a great platform which encourages innovation, uniqueness and experimentation and that is the only way to let the genius of the students bloom. Visiting this university is a sort of a discovery for me. We are proud of the vision, foresight and entrepreneurship of Mr. Moideen in establishing such a wonderful university in UAE, he said. “Many kids have incredible brains, we wanted to explore the giftedness in a child and this platform brings forth the unnoticed talent amongst young children, who in their formative years may have decided on their future course of education and specialization” said Prof. Mohamed Arifulla, Dean Admissions and Registers, GMU. 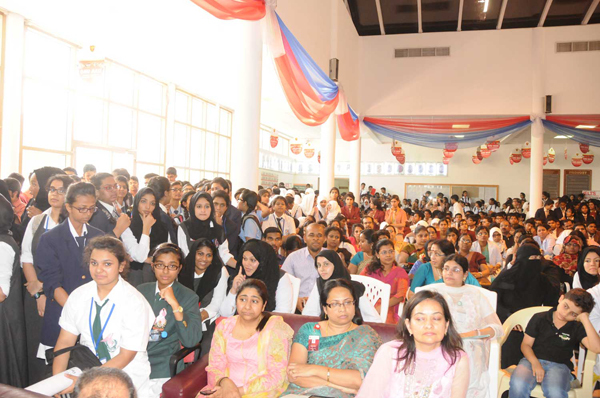 The exuberant talent of the students form over 50 schools from all over UEA and attended by over 4500 students from more than 250 schools was aptly summed up by the Vice Principal, Ms. Sobha Mohan of Indian School Ajman. 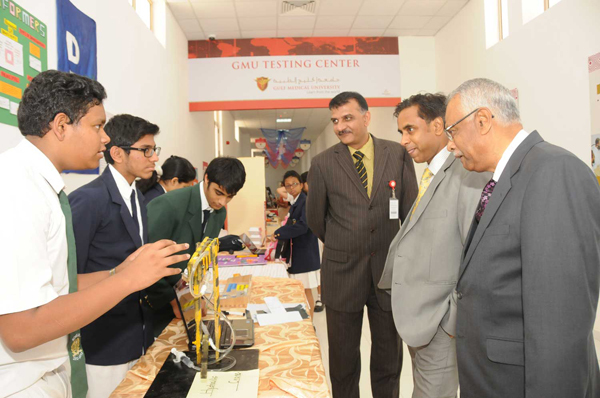 “Gulf Medical University Science Exhibition is an eagerly awaited event for all school children. 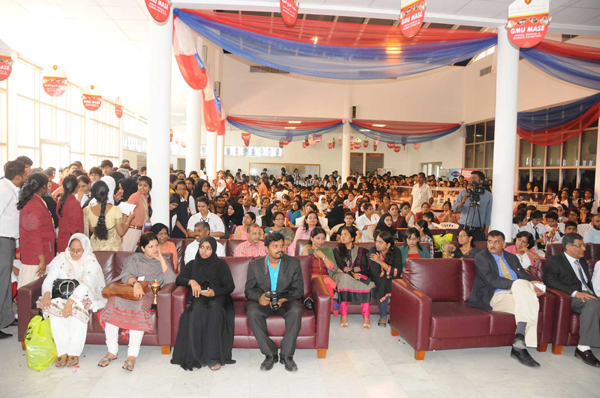 It is an occasion for the students to showcase their creative talents. It is with their own creative abilities assisted and guided by the teachers, amazing ideas have been brought to light by this opportunity provided by GMU. 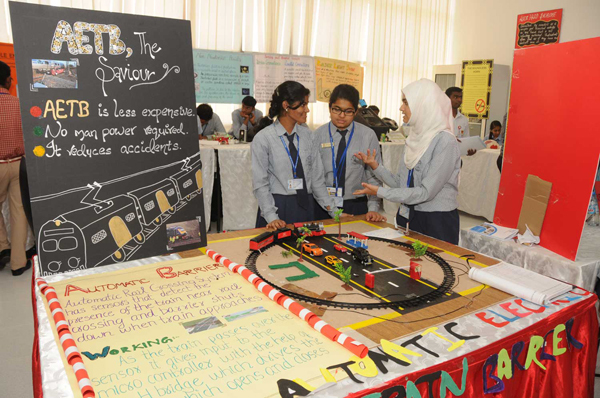 Indeed it has been exhilarating two days for the students of Indian School Ajman who tried their best to impress everyone with their creations. We look forward to the next one while today we are on top of the world with the joy of winning the overall trophy. We are grateful to GMU for providing this platform”. 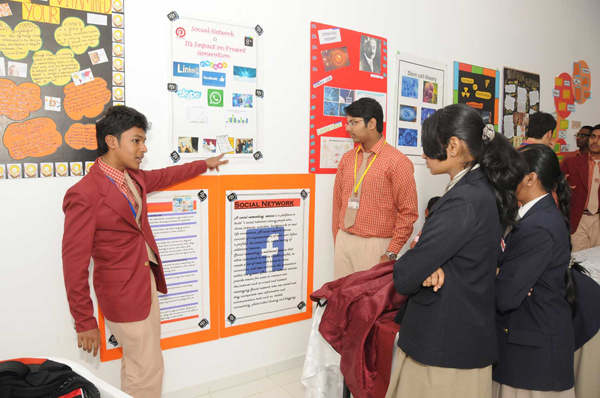 We have explored ourselves by meeting friends from other schools, who displayed some amazing projects says Suhail from Indian School Ajman, who led a team of more than hundred students to this year’s exhibition. Our students were thrilled to see the anatomy specimens, which generated a lot of interest in them to study medicine. They also got an opportunity to learn from other students, which is a commendable opportunity provided by GMU, said Ms. Priya NV, a teacher from Al Ameer English School. 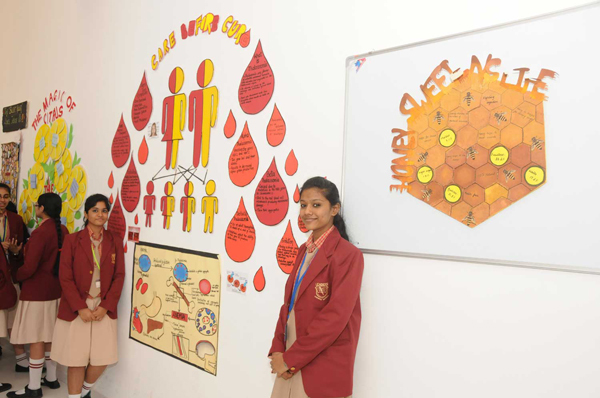 A similar feeling was echoed by Ms. Chayetali Raj from Our Own English High School, Sharjah. 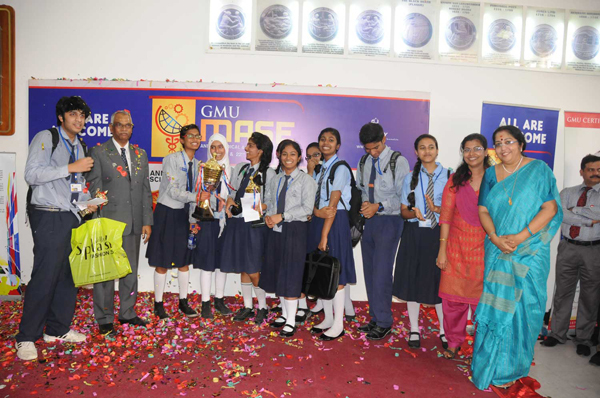 Ms. Talat, a teacher from DPS Sharjah said GMU MASE provided a good platform for budding scientists, and we are happy to be part of this incredible scientific feast and happier that our students have won many prizes. 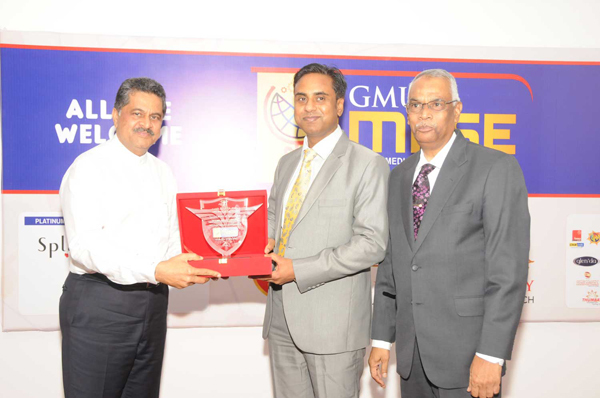 The event culminated with a prize distribution ceremony on 22nd May 2014. Prizes were be given away to the winners in Projects, Posters and Painting categories. 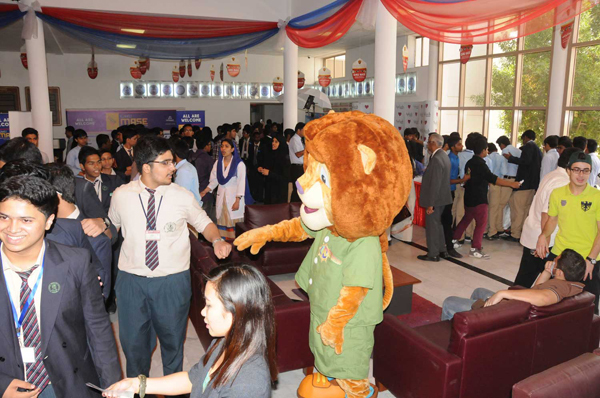 Cash prizes worth more than AED 25,000 were given to the winning students.